A Regional LTL Solution for the Northeast. From Anywhere in the U.S.
For more than 95 years, A. Duie Pyle has provided pool distribution services for companies in the U.S. looking for a better alternative to reach the Northeast marketplace. We provide a better supply chain solution for industries and product categories that require an acute level of attention to delivery window requirements, advanced mobile shipment tracking, claims management and performance reporting. With our vast experience in the Northeast marketplace, we know how important it is to put additional measures of accountability in place, such as pre-appointments and simultaneous delivery notifications between multiple parties, to create a seamless transition between carriers. 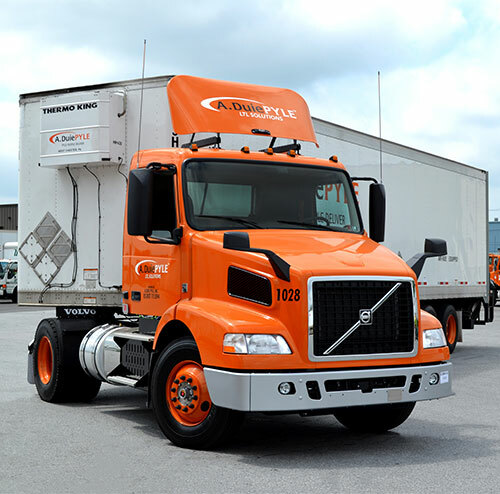 And because we have the flexibility to customize our regional service to each of our customer’s needs, our pool distribution outperforms traditional modes of national LTL carrier service into the Northeast region of the U.S., providing a better level of service and supply chain confidence. A. Duie Pyle’s Pool Distribution Solution Outperforms in the Northeast. Top-rated safety processes in the U.S.